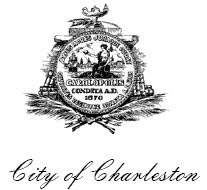 "Responsible for the direction and coordination of the environmental sustainability activities of the City Charleston... Assists the Mayor and the Director of the Department of Planning, Preservation and Sustainability in the creation of short and long-range planning goals and objectives related to sustainability of all City operations and advocacy of sustainability to the Charleston community... Oversees the creation, implementation, evaluation and revision of the City’s Climate Protection and Sustainability Plan including coordinating with the Mayor, Department Directors, the Charleston Green Committee, local non-profits and the business community... Evaluates City policies, ordinances and operating procedures to ensure they comply with the City’s Climate Protection and Sustainability Plan... Provides technical expertise on sustainability for City capital projects, procurement and design review initiatives. Identifies, develops and supports grant requests to implement sustainability initiatives... Serves as a primary spokesperson for City sustainability issues and opportunities." For a complete job description for any particular position, contact the Human Resources Division at 843.724.7388. Let me know when you move down, we'll go have a beer sometime!